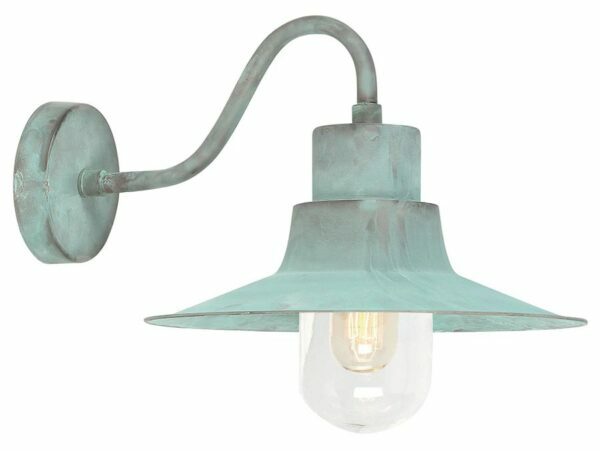 This Elstead Sheldon 1 light outdoor wall lantern in verdigris finish solid brass with traditional style and rated IP44 features early 1900’s design. Circular wall mount, swan neck arm and downward lantern, with stepped roof, wide brimmed rim and pill glass shade. 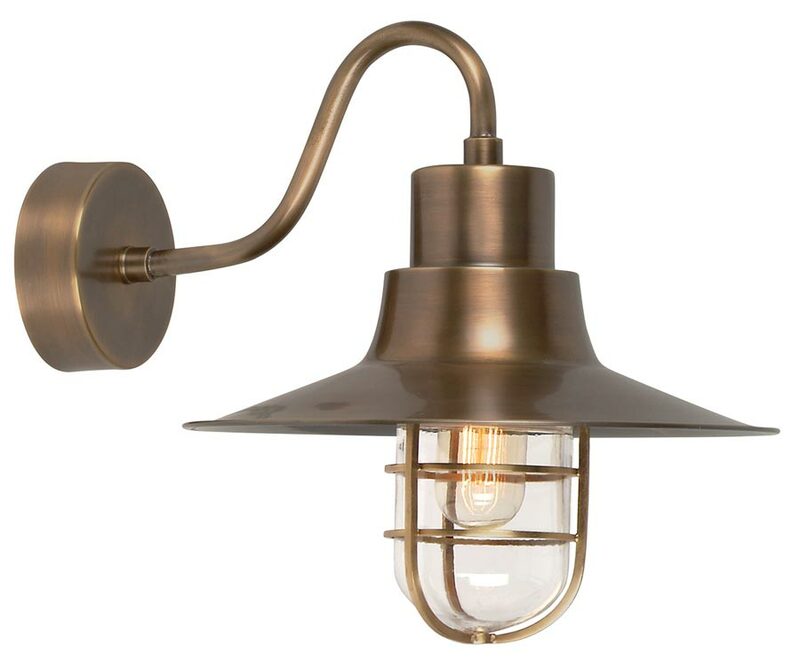 The Sheldon range is influenced by simple barn lamps of the early 1900s, with a slight industrial edge. It is handmade in solid brass and finished in verdigris. The finish will naturally age into a rich patina and can be chosen with or without the vintage glass guard cage. There is a matching Sheldon outdoor porch chain lantern and cage accessory available, please see below and also available in aged solid brass and antique nickel finish solid brass. This exterior light is supplied by Elstead Lighting, a British company that specialise in the manufacture and distribution of quality decorative lighting such as the Sheldon 1 light outdoor wall lantern in verdigris finish solid brass with traditional style and rated IP44 you see here.